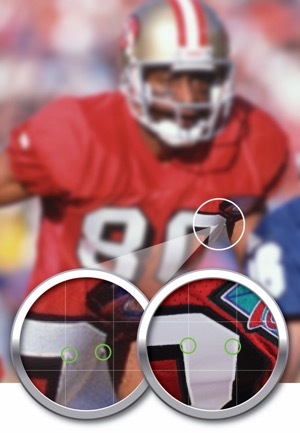 49er legend Jerry Rice wore this throwback jersey in the 1995 NFC Championship game against the Dallas Cowboys. Rice caught 2 passes for 36 yards and a touchdown. The 49ers won the game 38-28 and ultimately won the Super Bowl in the following weeks. Rice was elected into the Pro Football Hall of Fame in 2010. The NFL’s No. 1 player of all-time by NFL.com, Rice won three Super Bowl championships and is the NFL's all-time leader in receptions, yards and touchdowns. Rice holds mostly every major statistical categories for wide receivers in both the regular season and postseason. 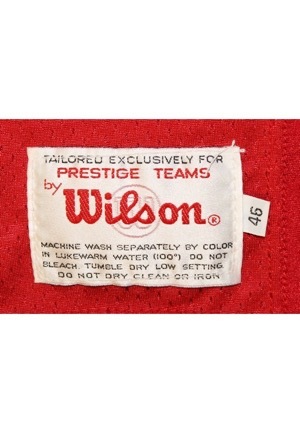 On the front left tail is the Wilson manufacturer’s tag with washing instructions. Attached is a flag tag reading the size “46”. 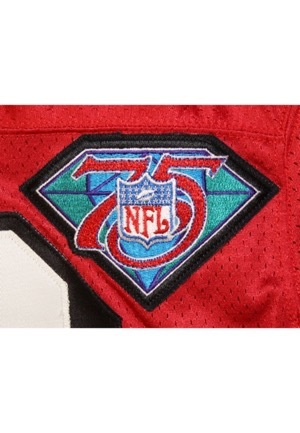 On the upper left chest is the “NFL 75th” anniversary patch. On both sleeve is a “Wilson” logo embroidered in white. 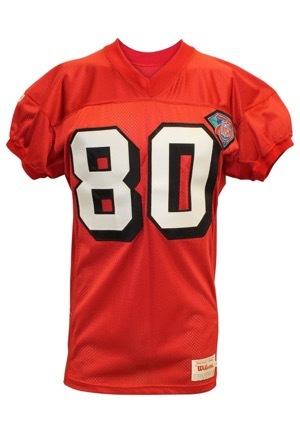 Across the front and back is the player number “80” in white on black tackle twill. Across the back on a red nameplate is the player name “RICE” in white tackle twill. 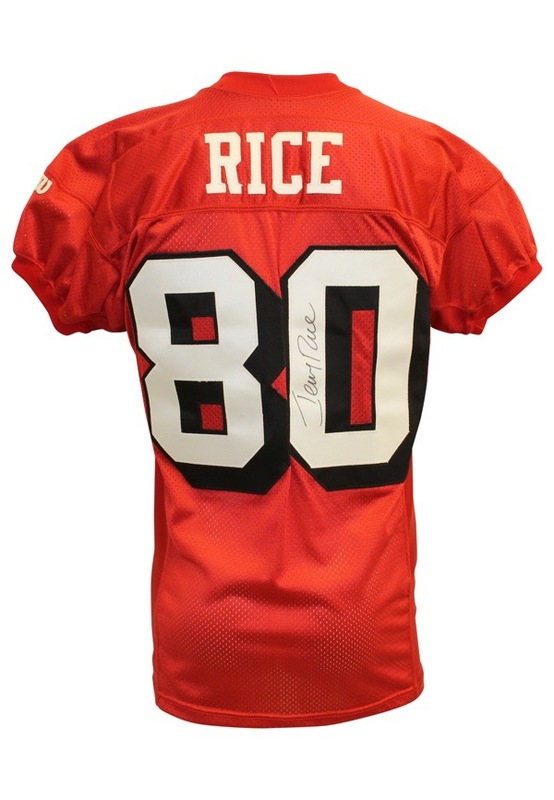 Rice signed the back of the jersey inside the player number “0” in black marker and in our opinion the signature rates a 9. This jersey is properly tagged, was presented to us as game-used and in our opinion shows appropriate use. Accompanied by a Full LOA from JSA and a RGU LOA confirming the match.